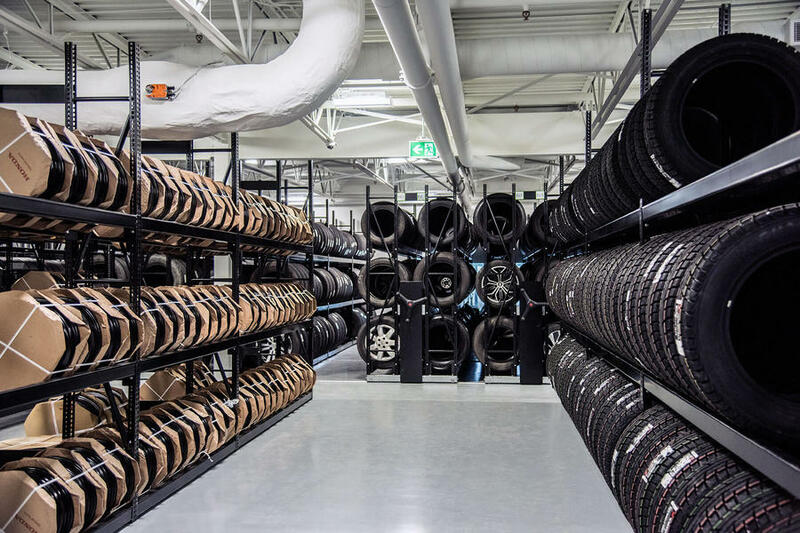 Our Tire Storage Systems offer unique, compact and flexible space-saving solutions for your high density tire racking needs. 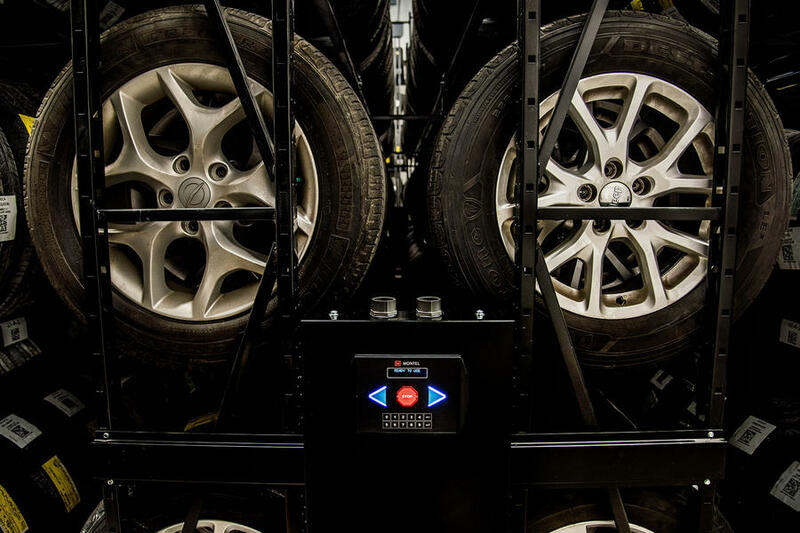 A growing number of garages, vehicle dealers, tires shops and warehouses need to equip themselves with an organized high density mobile tire storage system, making them simpler to stock & easier to access, all while reducing storage space. 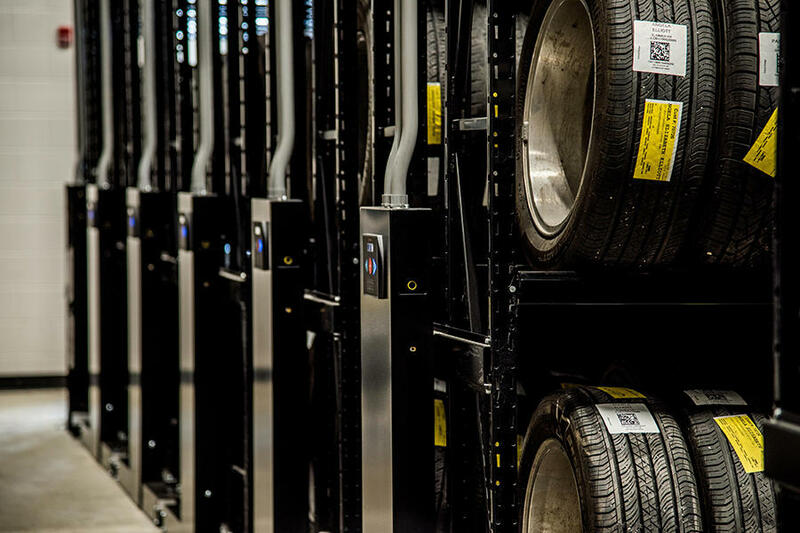 An easily expandable solution is also a key concern, to store more SKU’s and accommodate business growth due to the demand to store seasonal tires. 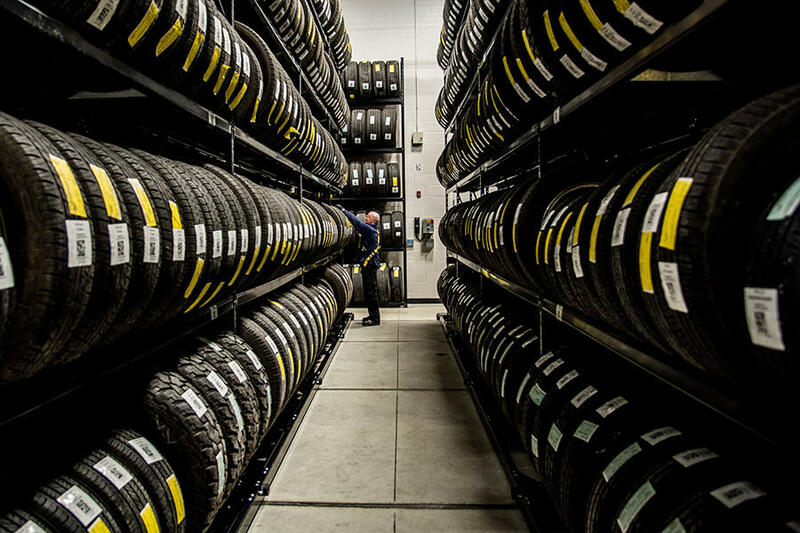 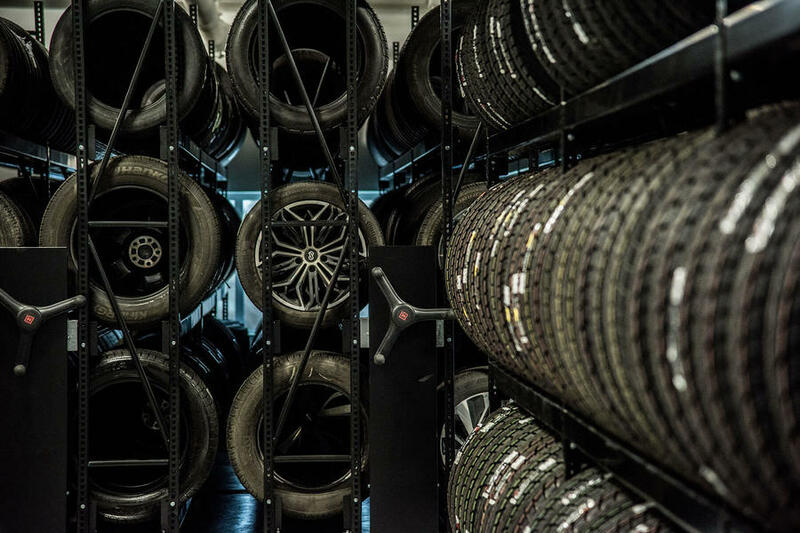 Since proper maintenance of tires in a well-controlled environment is just as important when off a vehicle as it is on one, we have the customizable automotive storage solutions needed to show them the very best of care and ensure they don’t prematurely wear. 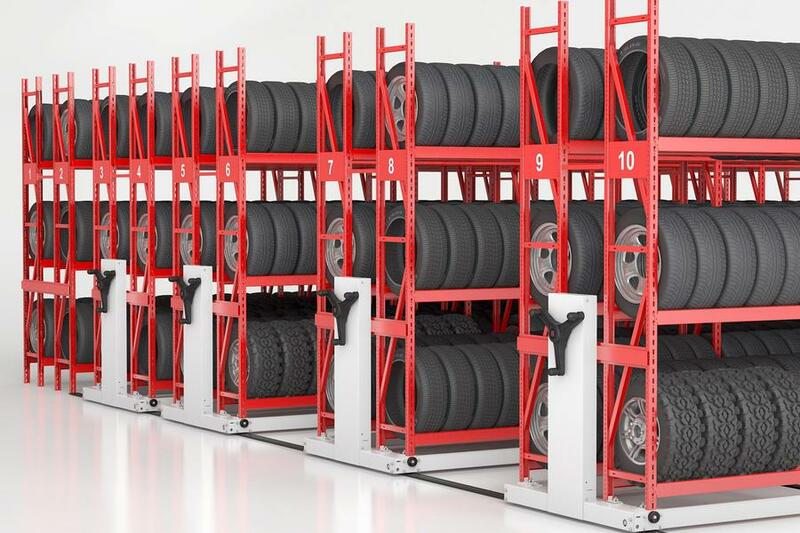 See why our mobile racking systems are the way to go.